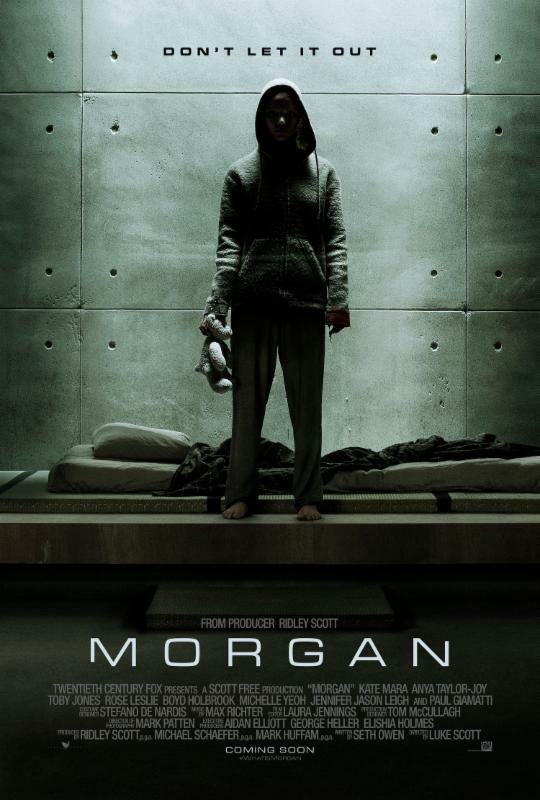 Morgan, directed by Luke Scott, is a science fiction thriller that explores the world of artificial intelligence, it's potential use as a weapon, and how it compares to actual humanity. The film features a strong cast that includes Kate Mara, Paul Giamatti, Brian Cox, Michelle Yeoh, Toby Jones, Jennifer Jason Leigh, Vinette Robinson, Boyd Holbrook, and Anya Taylor-Joy. Artificial Intelligence has been a hot topic for Hollywood over the last few years with films like Her, Ex Machina, and Avengers: Age of Ultron all exploring the topic in one way or another. 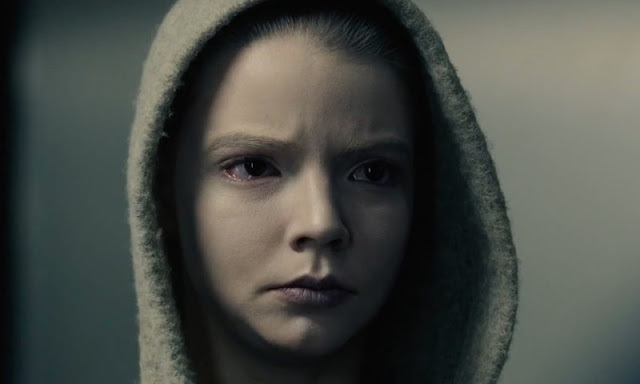 Out of those three examples, I would put Morgan closest to Ex Machina as it's a very similar type of psychological thriller with lots of hidden agendas and secrets to be sorted out. For the most part, the story works well although there's a big build up to a reveal at the end that doesn't have nearly the impact I imagine it was supposed to have. The topic is hinted at and thrown around so much that, to me, it became obvious right away and then I was just waiting for the cat to be let out of the bag in a shocking and creative way, but that moment never happens. It's just sort of there. Not sure if this was more of a script issue or maybe something that fell short in the editing, but it definitely took away from what was otherwise a pretty solid movie with some really good acting performances. 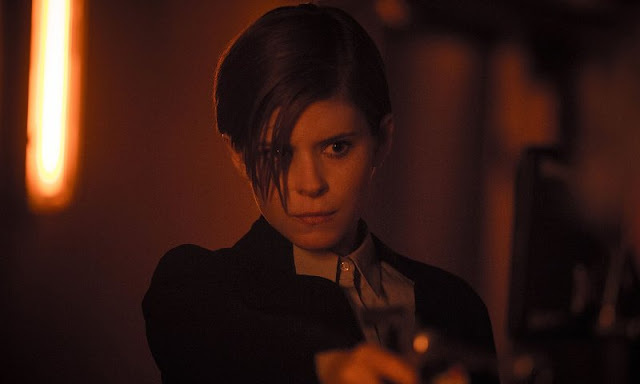 While Morgan is the subject of the story, Kate Mara's character, a corporate risk-management consultant, is the real star of the movie and she delivers a pretty powerful performance albeit in a very understated way. 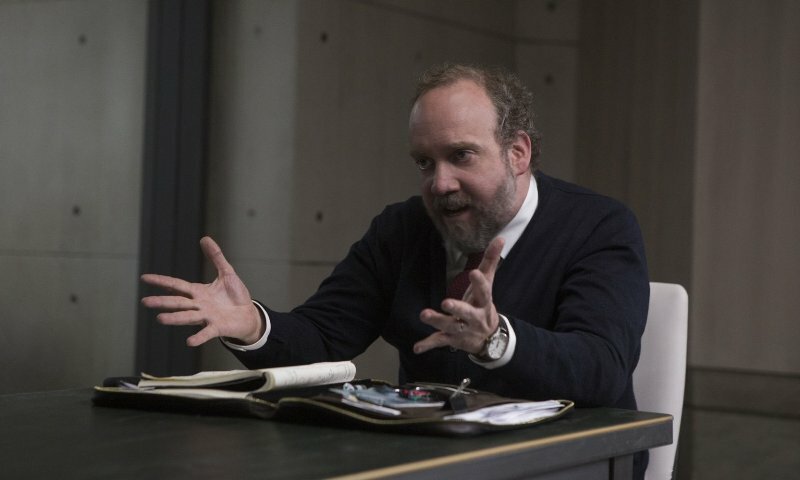 We also get a brief yet very good showing from Paul Giamatti who takes full advantage of every moment as a psycho analyst brought in to determine the ultimate success or failure of Morgan as a viable asset. Michelle Yeoh and Jennifer Jason Leigh also turn in strong performances, as you would expect, although with not enough screen time to really let them dig into their roles. 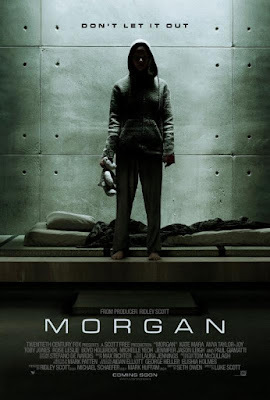 Morgan is a good movie that could have been so much better with just a few tweaks here and there. I really like the idea and how the story is initially laid out, although having a potentially powerful plot twist fizzle out at the end really led to a disappointing finish. My recommendation would be to go see the movie just with tempered expectations.